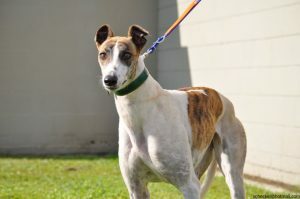 Primrose, racing name Cayenne Snow, is a 7.9 year old white and brindle girl. 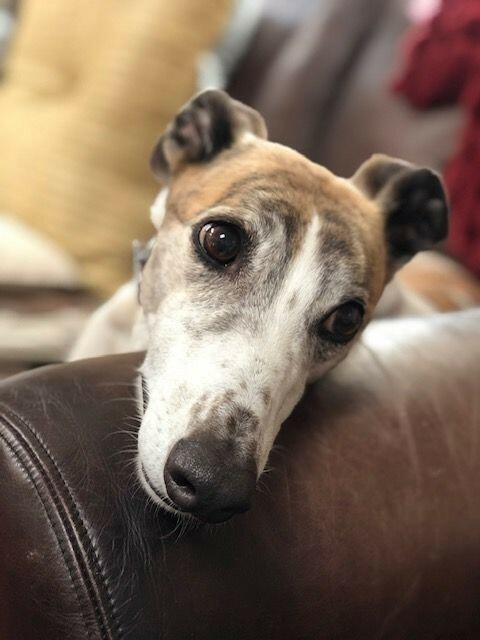 Primrose is a sweet loving girl and nothing seems to phase her. She’s tested well with cats and small dogs, doesn’t mind street noise and love people. She’s got great leash manners and does well with steps. 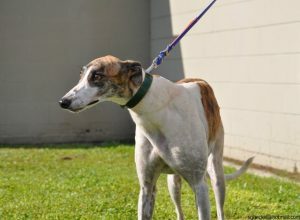 She’ll be available soon for approved adopter visits.